Part of the reason this ice cream stays so smooth — sans the ice crystals that plague other no-churn ice creams — is that it begins with a very stable custard. One of the great joys of homemade ice cream is eating the just-churned custard straight out of the ice-cream maker. Silky and ethereal, with the texture of soft serve, it’s a treat usually reserved for the cook before the ice cream is packed into containers and stowed away in the freezer. But not so with this vanilla-honey ice cream, which is designed to be served at its softest and most satiny. Best of all, you can make it without an ice-cream maker, getting one of the creamiest frozen treats imaginable without giving up any of your kitchen real estate. Part of the reason this ice cream stays so smooth — sans the ice crystals that plague other no-churn ice creams — is that it begins with a very stable custard. Commercially produced ice creams use gums to this effect. Here, a little cream cheese melted into the custard does the same job. It’s a trick I picked up from Jeni Britton Bauer of Jeni’s Splendid Ice Creams, whose ice creams are notably rich and supple. “Cream cheese gives body to ice cream, making it thicker,” she said. Bauer also recommends that home cooks use part regular sugar and part liquid sugar to increase the elasticity of the ice cream. Corn syrup is one liquid-sugar possibility, but I prefer honey. Not only does it improve the texture of the ice cream, but it also adds its inimitable caramelized sweetness to the mix, turning plain vanilla into something much more aromatic and lush. Use a full-flavored honey here, one with personality and verve: Lavender flower, chestnut, linden, buckwheat are all good options. Once you have made your custard, you will need to freeze it. A standard no-churn method is to solidify it in ice-cube trays, and then purée the frozen cubes in a blender or food processor. The ice-cube pieces break down more quickly and easily than a solid frozen block would, so don’t skip this step. Adding a little milk to the food processor as it whirls helps smooth out the ice cream as well. And if you do have an ice-cream maker, you can still make this recipe. Just be sure to time it so you can serve it to your waiting guests straight from the machine for the maximum fluffiness. 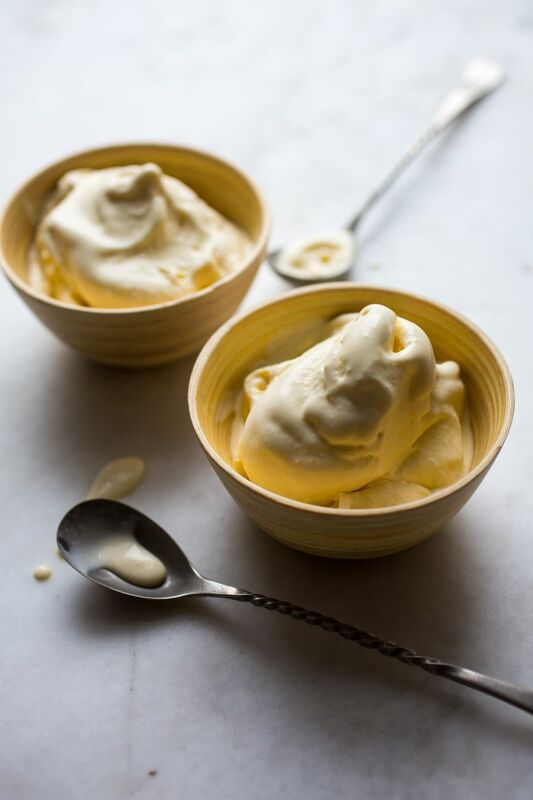 Billowy, light and deeply flavored, it is an ice cream that you will want to make all summer long — whether you have an ice-cream maker or not. 1. In a large bowl, whisk together yolks, sugar, honey, vanilla and salt until smooth. 2. In a medium saucepan over medium heat, bring cream to a simmer. 3. 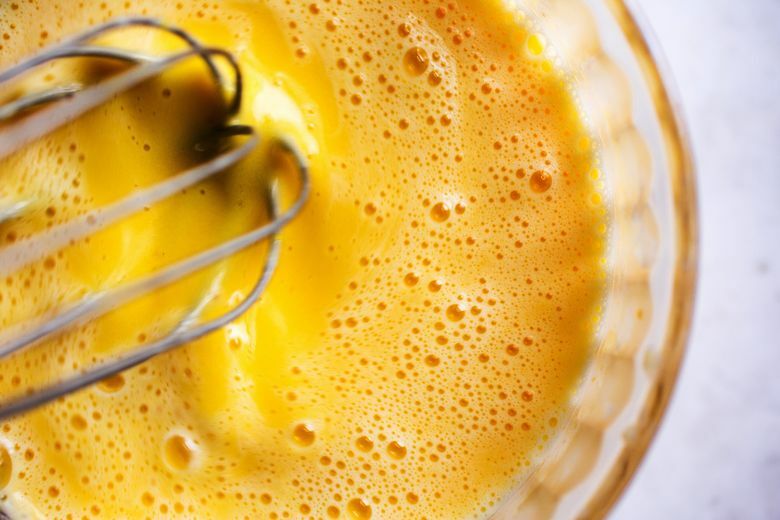 Whisking the yolks constantly, slowly pour half the hot cream into the egg mixture. Scrape custard back into saucepan and cook over medium-low heat, stirring constantly, until custard is thick enough to coat the back of a spoon (180 degrees on an instant-read or candy thermometer). Do not let mixture come to a simmer or it could curdle. 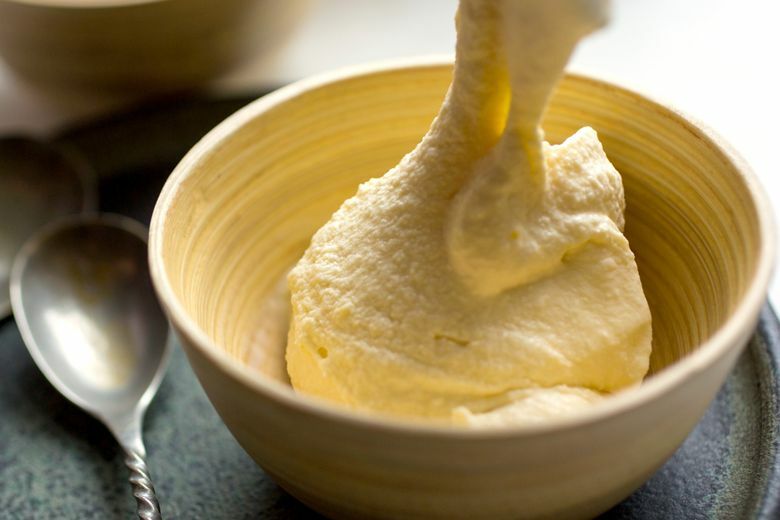 Strain into a heatproof bowl and whisk in cream cheese until completely melted. 4. Nestle bowl in a larger bowl filled with ice water. 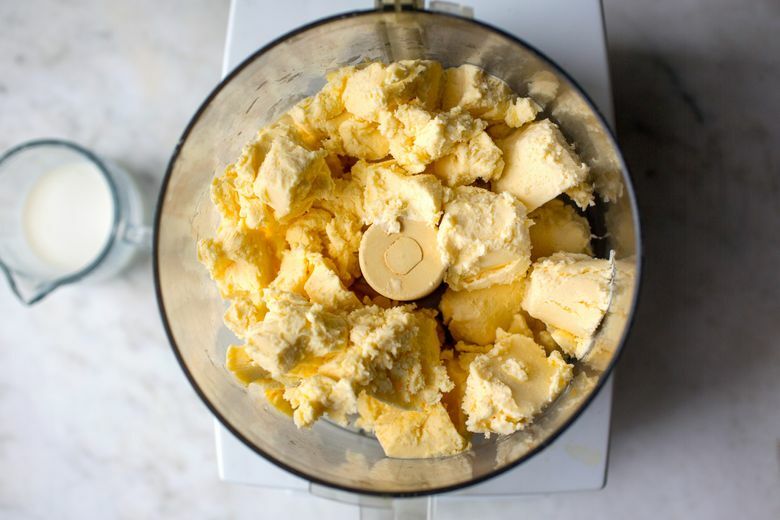 Using a hand mixer or immersion blender, whip custard until thick and cold, about five minutes. Spoon mixture into three to four ice cube trays. Freeze for at least three hours or overnight (or up to one week). 5. 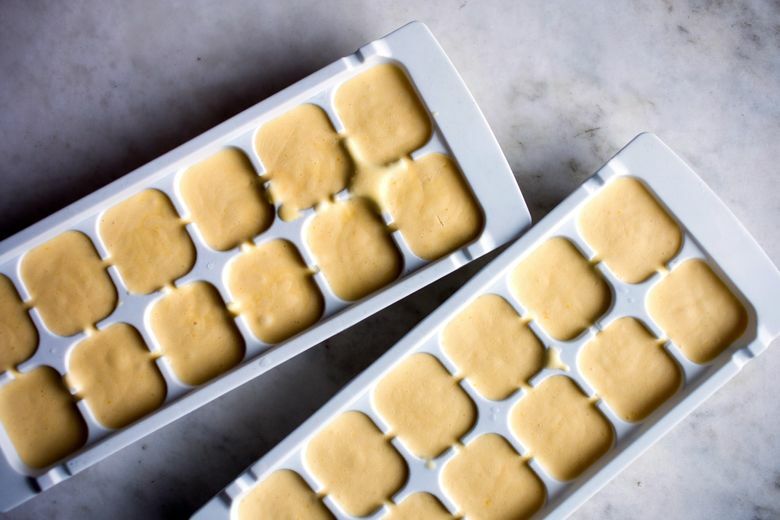 Using an offset spatula or butter knife, pop out ice cream cubes. Transfer to a food processor or blender. Pulse cubes with milk until the ice cream is smooth and has the consistency of soft serve. Serve immediately, or return to container and freeze for up to one week.